Tostada with Arroz con Elote. 28-year-old entrepreneur Sofia Deleon recently got a tattoo of corn on her right forearm. The small, black image is squat and symmetrical. Two triangular pointed leaves form a base that holds a rising husk of rectangles representing the food staple. The image itself is simple, but telling. 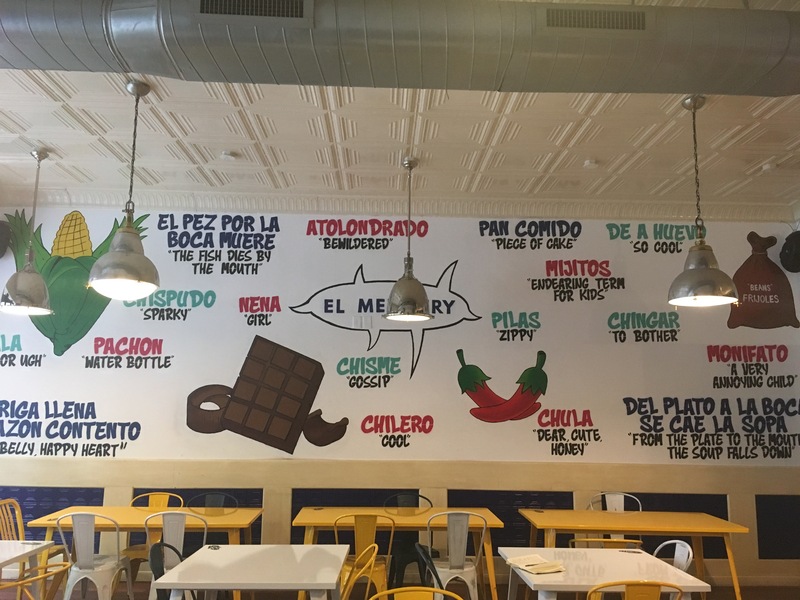 The tattoo represents not just one of the main ingredients used at Deleon’s new restaurant, El Merkury, but also her passion for the food business. 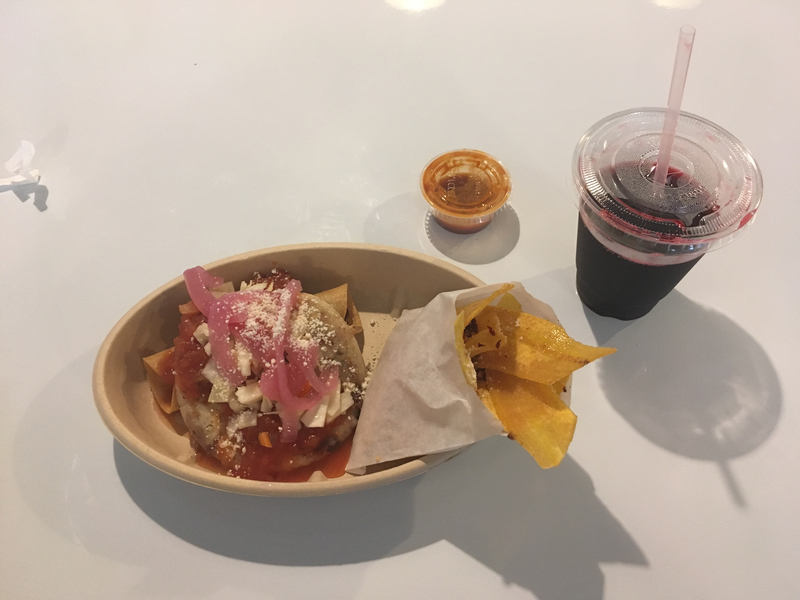 For the past year, she ran a virtual restaurant through GrubHub and Fooda trying out her Central American cuisine, virtually unseen in Philadelphia. Apart from providing lots of experience, it taught her about what works and doesn’t with an American audience. Lesson #1: tone down the hot sauce. 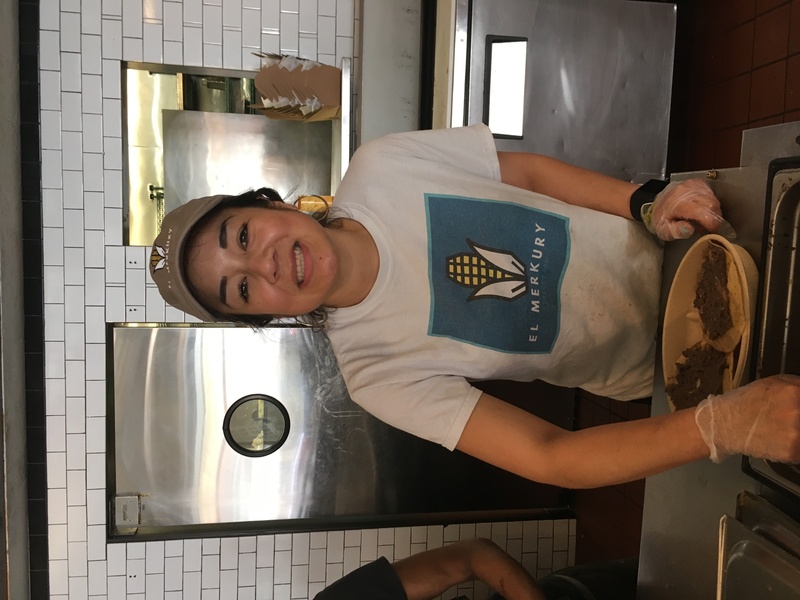 The purpose of the testing was to prepare for a brick and mortar restaurant of her own where Deleon could showcase her Central American street food permanently. 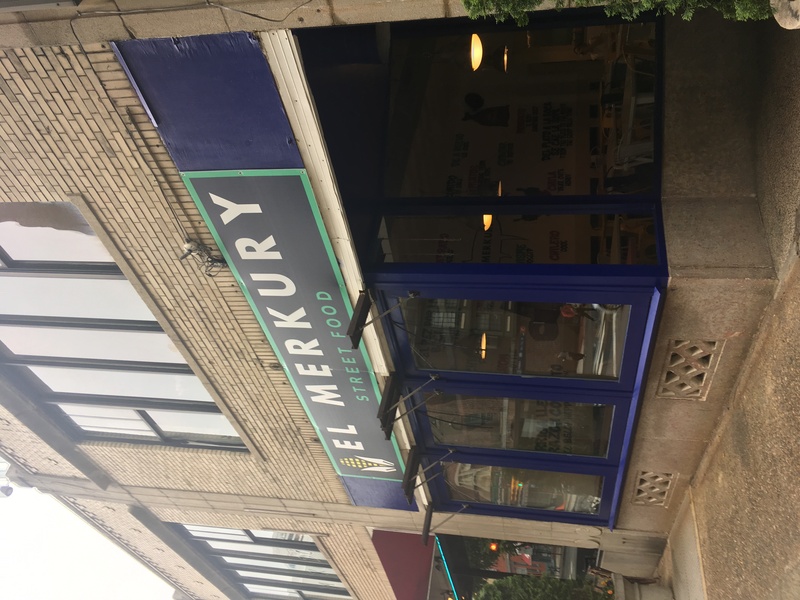 On Saturday, May 5th, El Merkury opened to the public. At the heart of the menu are four main ingredients: corn, beans, chilis and chocolate. All are Mayan food staples and commonly seen in dishes from Guatemala and El Salvador. By coming to El Merkury, which is broken Spanish for El Mercado (the market), visitors can get a taste of what it is like to visit a market in Central America. 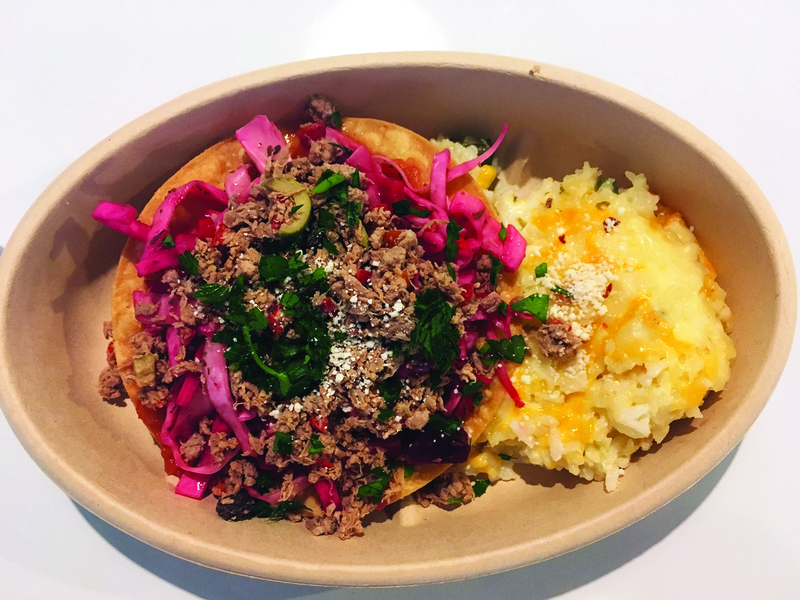 Of the savory foods, there are three main options - pupusas, taquitos and tostadas. They all have a corn base, are gluten free and can be served vegetarian. 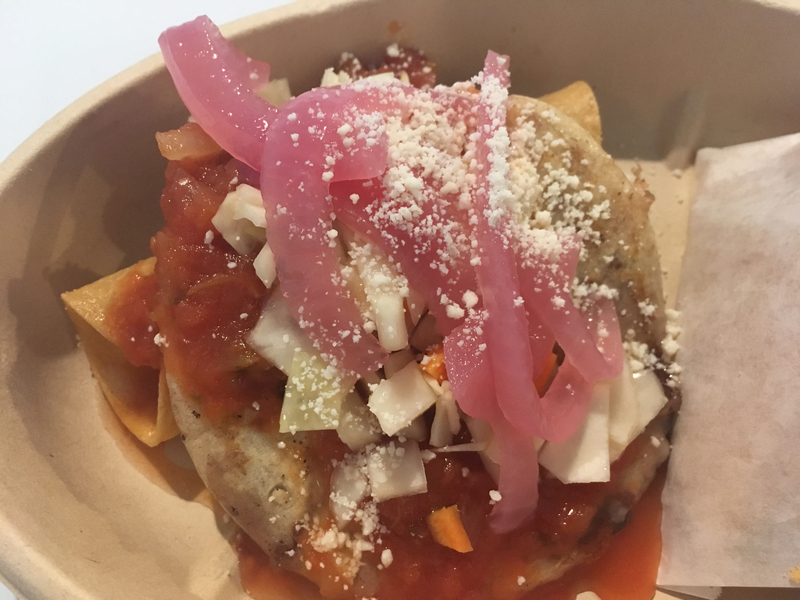 The pupusas - a corn flour dumpling filled with meat, cheese or vegetables with salsa and pickled onions - are perhaps the least well known of the three, but have a soft velvety texture that enriches the flavor of the filling. Another interesting taste is the pleasantly spicy arroz con elote – three cheese baked rice with roasted jalapeno and corn. 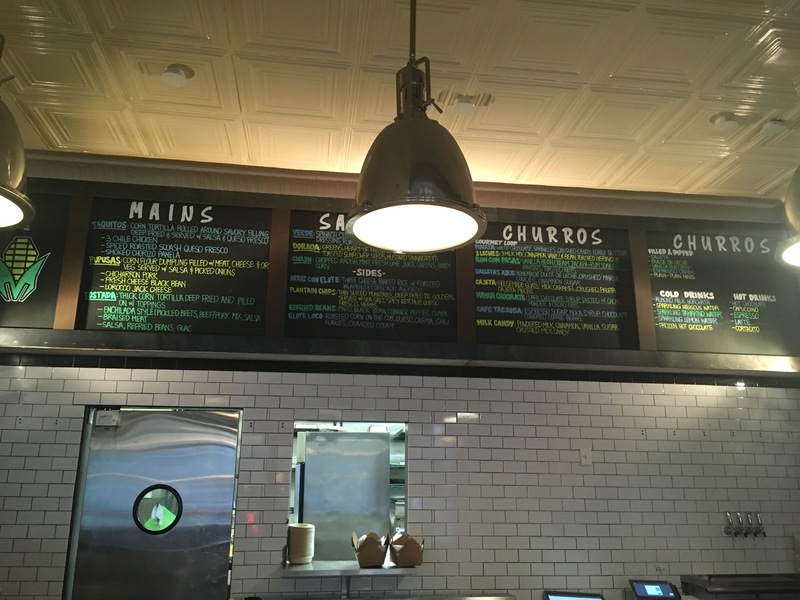 However, the crown jewel of the restaurant is the churros. Served in a “Gourmet Loop” formation on top of homemade dulce de leche, the sweet, doughy dessert catches everyone’s eye when brought out from the kitchen. 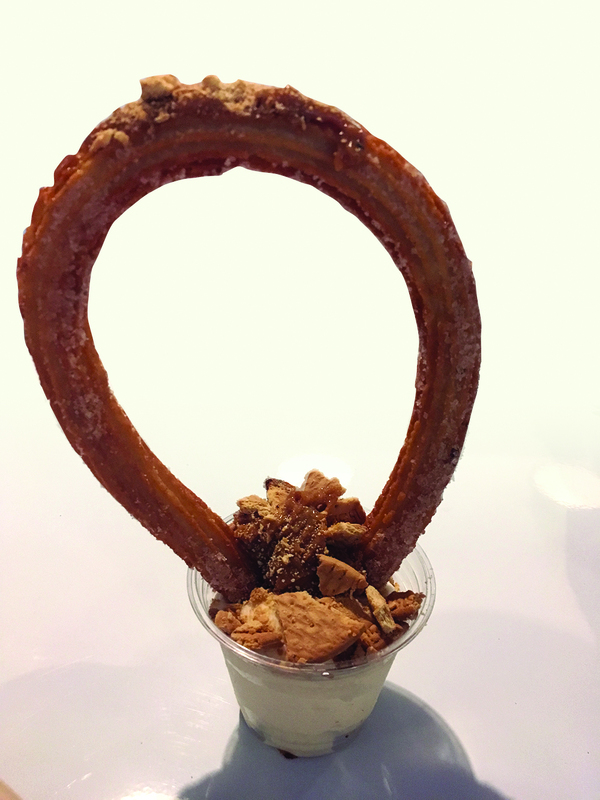 One flavor, Ron con pasas, features churros with raisins soaked in Zacapa rum, a Guatemalan classic. 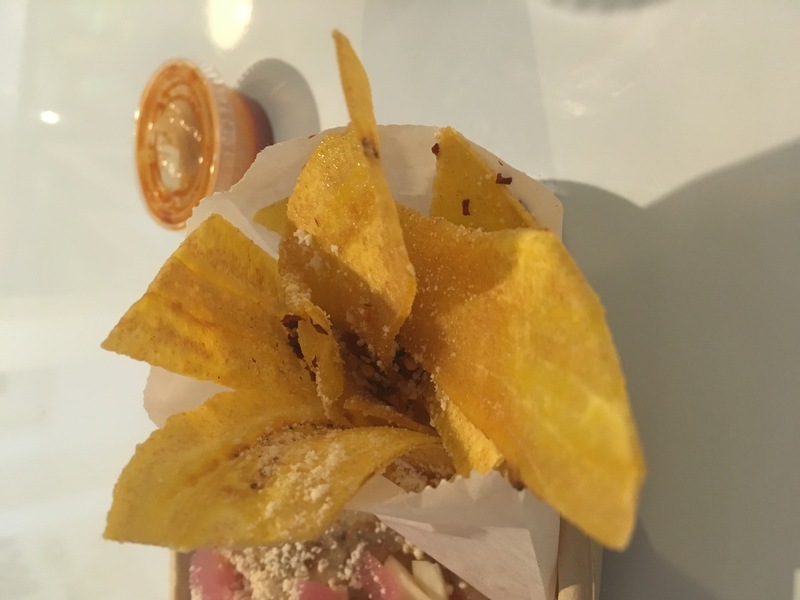 Apart from the food, the restaurant acts as a way for customers to engage with Central American culture. On one wall, popular phrases, such as “mihitos” and “de a huevo,” evoke chatter overheard in a Guatemalan market. On the opposite wall, fair trade products from Guatemala are for sale. 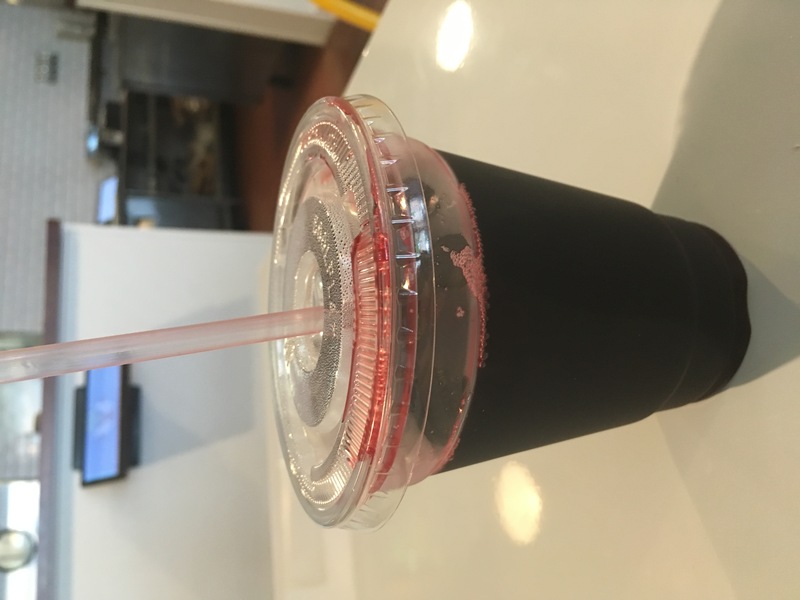 10% of the proceeds are donated back to microloans for indigenous women in Guatemala. Born and raised in Guatemala, Deleon went to a bilingual school and initially moved to the US for college. She attended Michigan State receiving a degree in food industry management and then worked with food in various corporate companies. She later did an MBA at St. Joe’s in food marketing, but decided that the corporate world was too boring. She wanted more adventure. She chose Philadelphia as the place to settle down due to the diversity of both seasons and people.